Australia's 2017 flu season is now over but public health officials reported record-high rates of flu, as well as above-average numbers of hospitalizations and deaths. The most common flu strain there was the influenza A virus known as H3N2, and the vaccine given to Australians had an effectiveness of only 10%, according to preliminary estimates. According to La Times, the vaccine now being administered to the West uses the same formulation. Even worse, nearly three-quarters of the 1,544 laboratory-confirmed cases of flu seen in the U.S. since Oct. 1 were of the H3N2 variety, according to the Centers for Disease Control and Prevention. The latest update, released today, states 93 people have lost their lives to flu already this winter - 85 in England and eight in Scotland. The figure for England compares to the previous total of 48 recorded last week. Scotland appears to have been hit the hardest in the UK so far this winter because it is the only home nation to report a significant number of ‘excess deaths’ - when more deaths have occurred than expected. 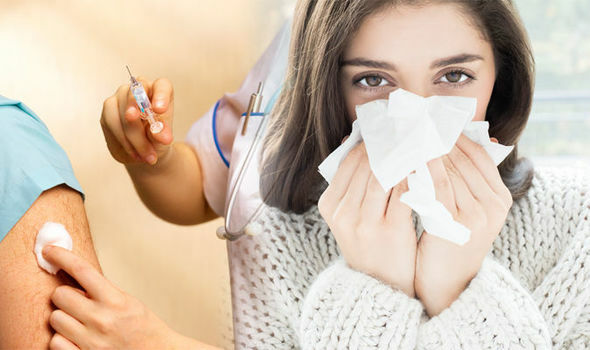 Aussie flu, the H3N2 strain of flu which was given its name after it caused problems in Australia during its winter, is now infecting people in the UK at an alarming rate. Almost 2,000 people have been hospitalised by flu this winter, the report also revealed, and one in four of those cases were caused by deadly Aussie flu. I think the biggest threat to the west is the Islamic flu that they have brought upon themselves. As far as the Spanish flu it was probably caused by their wonderful flu vaccines. If you are trying to get away from all the vaccination crap, then there are a few different natural ways. Me personally has not been down with anything for years. My throat might get a little sore now and then, but is usually gone the next day. I use a liquid silver and zinc supplement that I get from crsupplements, and drink a little. Then I take a few drops of oregano added to a small amount of water. Then without breathing I drink water until the oregano taste is gone. Oregano can be picked up at health food stores and will last quite a while. I also use garlic, that I grow myself. All of these combined make for a great immune booster. Have your Doctor check your vitamin D3 levels. You want to be at the top of the scale not the bottom of the scale. If your levels are at the bottom of the scale you have a greater chance of getting a flu or cold. Maximum vitamin D3 levels turns your immune system on and it goes to work instantly to destroy a virus. Vitamin K2 helps the body absorb more of vitamin D3 when taken together as not all of a vitamin is absorbed into the body. Do the research! diabetes. How garlic can lower blood pressure. There are many other cures for disease and cancer is easily cured. that the body can extract the vitamins and minerals so they can be absorbed. I am not a Doctor. I am a independent medical researcher. ALWAYS consult your Doctor before beginning any protocol. Remember, MORE is not always better. In fact MORE can cause harm or death. Do the research! Be proactive in your health and learn the truth. I hope this information helps someone. Best wishes. Caused by the Flu Vaccine. Fresh Elderberry Juice...My wife and I go out every fall after the first cold snap and pick enough to have on hand ..we take a shoot glass every morning..